Job requirements and duties for law enforcement professions vary not only across profession, type of job, and specialty, but they also vary at the federal, state and local levels. When considering different types of law enforcement career options it's important to keep in mind that the same type of job may be quite different depending on whether you end up working for a city/county, state or federal agency. Pay structure, benefits, travel requirements, job responsibilities and career advancement opportunities differ at the local, state, and federal levels. Even at the state level, law enforcement officers are often required to relocate to a new city or travel from city to city to perform their assigned duties. If you're adverse to picking up and moving, or aren't interested in extensive traveling, then you may want to consider a job at the local level. Law enforcement professionals working with local government aren't usually required to do much traveling, and are rarely relocated. In fact, the majority of officers working at the local level remain in the same city/town their entire career. There are also other things to consider when determining whether to or not to pursue a law enforcement job at the federal, state or local level. Federal law enforcement jobs are typically classified as either investigative or uniformed. Federal investigative jobs are designed to enforce federal codes. Such jobs include the Bureau of Alcohol, Tobacco, Firearms and Explosives (ATF) or Drug Enforcement Agency (DEA). Uniformed jobs are tasked with ensuring the safety and security both domestically and abroad for important officials, federal buildings, etc. Such jobs include Diplomatic Security Special Agents, FBI Agents, Secret Service Agents, CIA, etc. Unlike federal law enforcement jobs, law enforcement jobs at the state and local level usually have much narrower jurisdiction and consequently a narrower job focus. While it may appear that being a federal law enforcement officer is more demanding, federal law enforcement officers in turn usually make substantially more than their counterparts working at the state or local level. For example, a local police officer can expect to make between about $30,000 and $60,000 per year depending on where they work and whether or not they advance throughout their career. Alternatively, an FBI agent working for the federal government will start their career making about $50,000 a year and can make on the upwards of $100,000 per year or more by the end of their career. In addition, federal law enforcement officers typically receive predictable raises based on years of service, whereas the salary of a local law enforcement officer is subject to local budgets. Consequently, when times are bad local law enforcement officers may be laid off or their pay may be cut. Another very important item to consider when deciding whether to work at the federal, state or local level is the nature of the law enforcement work at each level. 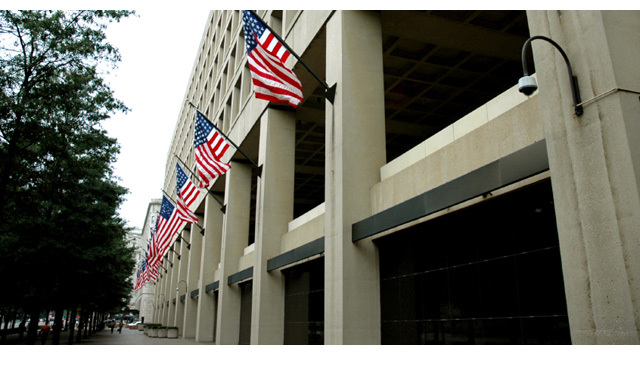 Federal law enforcement officers spend their time investigating federal offenses and large corporate crimes. State a local officers typically spend a lot of time driving around their local jurisdiction, responding to citizen calls/complaints, performing routine traffic stops for driving violations and investigating robberies, crimes against persons and white collar crime at a local level. Before you decide to pursue a specific law enforcement career, thoroughly investigate all other law enforcement careers. Once you've decided on a type of law enforcement career, make sure you then explore the differences within that type career at the federal, state and local level.